For the buildings of Classical Modernism, given their transparency and fragility, colour design is especially important. With their reduced formal language, this architecture works, apart from with the application of colour, with just a few materials such as light and shadow, and smooth and rough surfaces. Over the years following the Bauhaus’s inclusion on the UNESCO list of World Cultural Heritage sites in 1996, the renovation of the Bauhaus buildings in Dessau has yielded a wealth of information on the use of colour. These findings were not only made in the Bauhaus Building itself, but also, notably, in the Masters’ Houses, the Dessau-Törten Estate, the Balcony Access Houses and the former Employment Office. 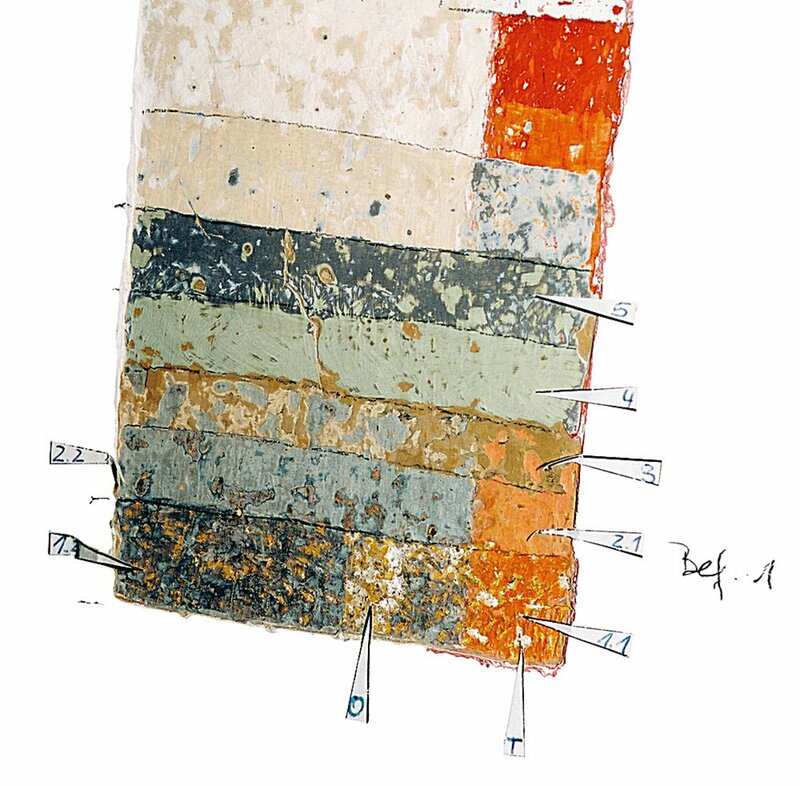 The findings of restoration research into colour pertained solely, in all the buildings, to the object in question and the actual renovation process. While the scientific evaluation of these findings in their complex context was not possible at this point, the systematic listing and compilation of the newly discovered materials last year created the right basis for further research. The objective of the work is not only geared to finding out concrete facts about each of the individual buildings; it also aims to contribute to the formation of a basis that will allow the Bauhaus buildings to be evaluated and classified in the architectural history of the 20th century.